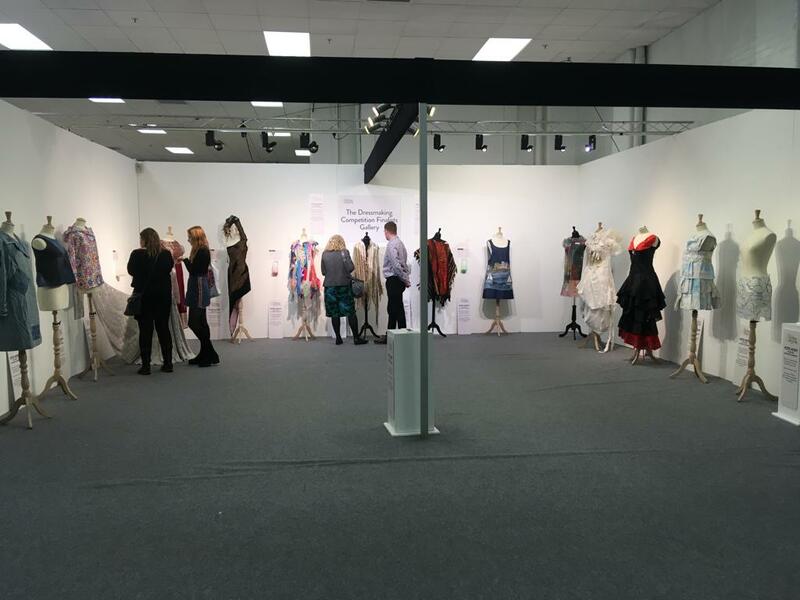 You might have heard of the Knitting and Stitching Show, a sewing show which provides everything from fabric shopping to sewing workshops. 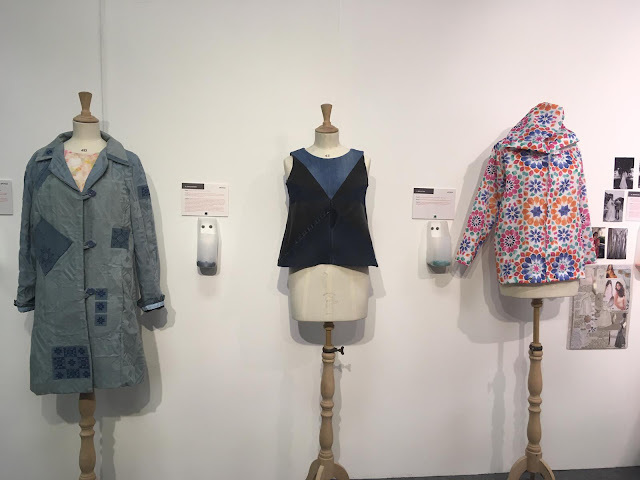 In other words, the perfect day out for anyone who has a love of textiles. I went to the show for the first time for my birthday back in October. I then spent the most wonderful and magical day there last weekend. 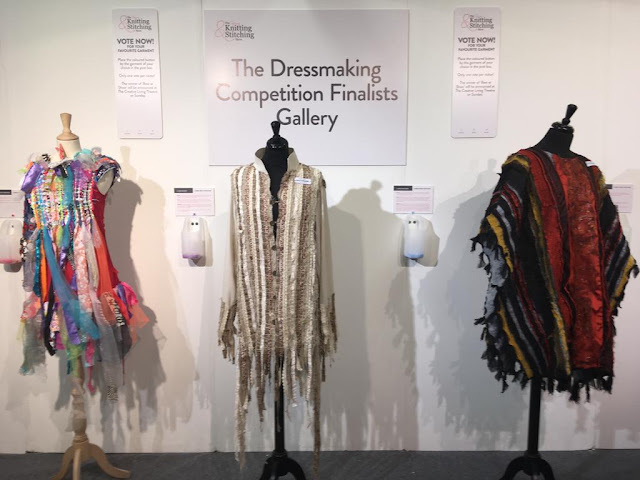 For the first time the show hosted a dressmaking competition, for which there were three categories (Upcycling, A Dress From Your Stash and Go Green). You may remember this top that I made last summer, created from several old pairs of jeans and much loved during the summer heat. 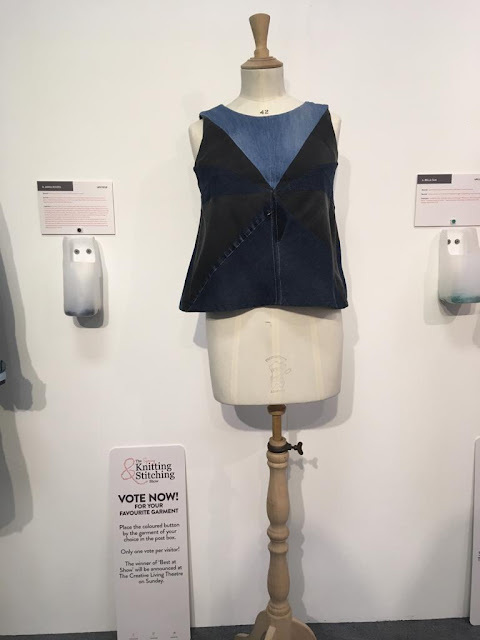 As a somewhat spur of the moment decision I entered it into the Upcycling category and was simultaneously shocked and delighted to hear back that my top had made it into the top 5 of it's category! The top was posted immediately and was then displayed at the show in a gallery during it's 4-day duration and all that was left for me to do was to count down the days until I would be going! The first thing I did upon arrival was to visit the gallery where the 15 garments were displayed. 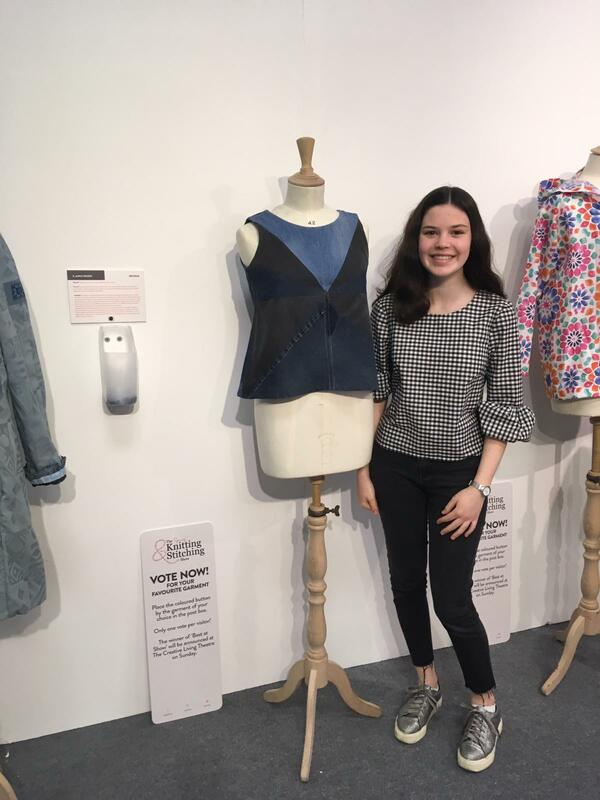 Seeing my top on a mannequin in a exhibition was such a surreal experience but I think what felt the most extraordinary was the plaque next to it. My name was displayed on the wall! My words that I wrote about my top! It was, for want of words, the best feeling ever. Having recovered from the initial shock of seeing my top on display I was able to properly look round the gallery. Some of the other garments were just incredible and I think that the categories really allowed for creativity to be explored and as such the makes were amazing. My favourite dress was one made out of maps, in the Go Green category there were dresses made out of all sorts including umbrellas and bubble wrap. For me, the day was already crazy enough but there was still an element remaining, and one which took my definition of crazy to a whole new level: the finalists catwalk. 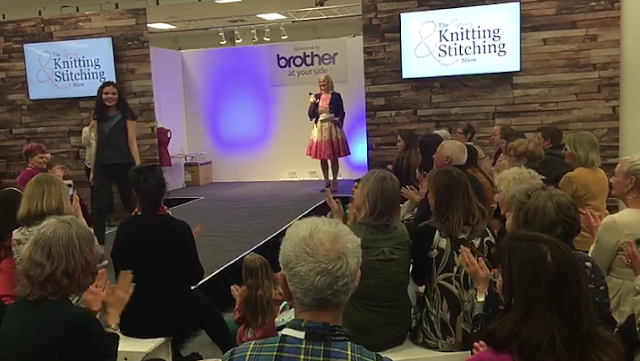 A catwalk is definitely not the kind of thing I could ever imagine myself doing and despite being nerve-wracking it was also incredibly fun and thankfully very informal! The atmostphere was lovely too and I just about managed to survive my first (and last) catwalk. I don't believe a catwalk was something any of us had ever done (or considered doing!) which was quite a relief. I very much doubt that I'll be doing another catwalk any time soon but I'm so glad to have had the experience, it was a lot of fun! After the morning's debacles I spent a wonderful afternoon at the show too, looking at patterns, exhibitions and discovering new crafts. I bought some fabric too, of course! I also met Esme Young, the judge of the Great British Sewing Bee as well as some sewing pattern designers. 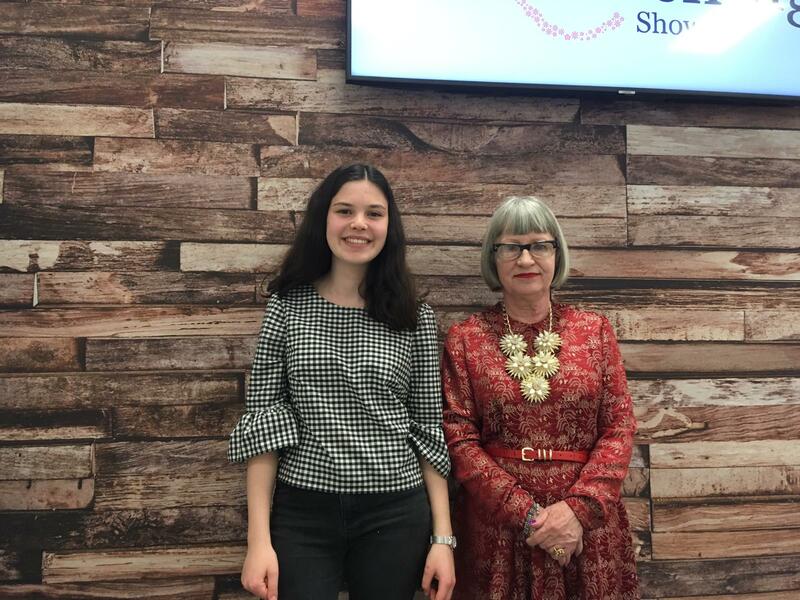 You might recognise the top I'm wearing as my beloved gingham top which I'm so happy to have worn to such a special event. I think it's safe to say that I had the most wonderful day and I still can't qutie believe it! What a wonderful day! And congratulations on your prize-winning top. I think it certainly deserved it. How wonderful!! Congratulations!! What an incredibly exciting time for you and so well deserved! Congratulations on the display of your lovely entry! Well done! Congratulations! I don’t find this success surprising at all, your work is always quite good.